A homelessness charity has warned that a new zone which bans anti-social behaviour in designated Hackney ‘hot spots’ will criminalise homelessness. The council’s new Public Space Protection Order (PSPO) allows police or council officers to ask people to stop ‘anti-social activities’ such as begging, sleeping rough in doorways or drinking alcohol in the street. 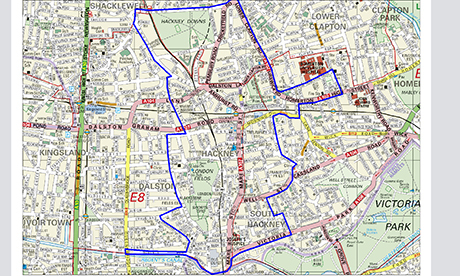 Those who breach the order, which covers the areas of Hackney Downs, London Fields, Broadway Market, Mare Street and Regents Canal, could be issued a £100 fixed penalty notice or a fine of up to £1,000. The Council has said that enforcement of the order will always be a “last resort” but its critics argue the ban will effectively “criminalise” homelessness and that rough sleepers will simply be shunted into another borough. Connor Johnston, a Hackney resident and barrister who specialises in homelessness said the Council’s move was “disappointing”. 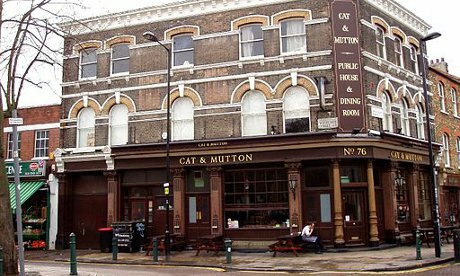 But Kay Zell Huxley, a duty manager at the Cat and Mutton pub on Broadway Market, said that anti-social behaviour from street drinkers outside the pub was “a big problem”. The Council claims that local businesses and residents in the area welcome the PSPO’S introduction but there was no formal consultation ahead of its implementation. Andrew Veitch, Director of the Broadway Market Projects CIC (Community Interest Company) said the group was not consulted on the order. When asked what he thought of the new order he said he was “in two minds”. The Manifesto Club, which campaigns “against the hyper-regulation of everyday life” is vociferously against the Anti-social Behaviour, Crime and Policing Act 2014. Its director Josie Appleton describes PSPOs as “blank cheque powers”. Cllr Sophie Linden, Deputy Mayor, said: “The level of street drinking, persistent rough sleeping and the associated anti-social behaviour in the area reached the point that we had to take further action on behalf of local residents, community and businesses.